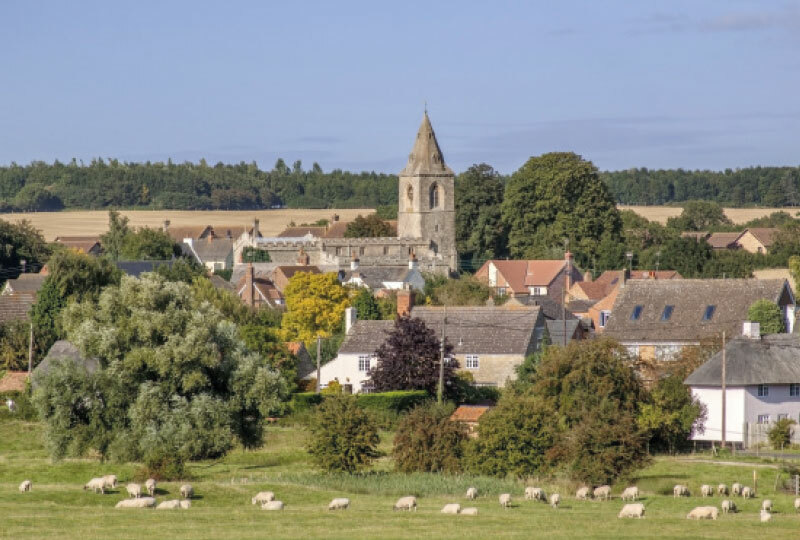 The Hayfield Consortium is preparing a planning application to create a new village of up to 650 high quality much needed homes for Central Bedfordshire with access from the A421. Our consultation on proposals for Hayfield Park concluded on Friday 9 June 2017. Thank you to all who provided feedback or attended one of our consultation events. We considered all the responses we received from our public consultation events together with advice that we received from other stakeholders and technical consultants, before we prepared our final proposals. We have now submitted an application for Outline Planning Permission for up to 650-home residential development on this site. where is the application available? Central Bedfordshire Council has registered this application as: CB/17/04989/OUT. It is available to view online here. We have prepared and submitted an outline planning application to create a high quality residential development at Hayfield. Hayfield Park lies north of the established communities of Aspley Guise and Woburn Sands within Central Bedfordshire, around six miles from the centre of Milton Keynes. The site is bordered to the north by the A421and the west by Cranfield Road. As part of a wider vision for the area,the Bedford – Milton Keynes Waterway would run along its southern edge. 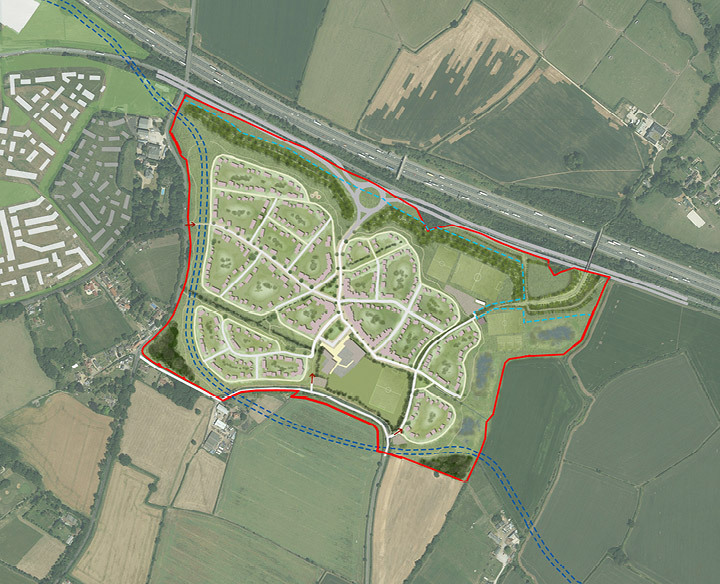 The site would deliver up to 650 much-needed new homes for CentralBedfordshire. Hayfield Park forms part of an area known locally as the Aspley Guise Triangle. This location has long been considered a sustainable location for new homes and our site is identified in principle in the currentLocal Plan for development. It will connect directly into, and will assist in delivering, the newly dualled A421. It will also reserve a corridor for the route of the Bedfordshire to Milton Keynes waterway. Building in this location, close to leisure uses, shops and jobs in Milton Keynes allows new residents to cycle or take the bus, and also reduces trips by car that would otherwise be made from longer distances away. We are bringing forward an application for Hayfield Park now because the Government is encouraging more house-building, the Local Plan has been delayed and this is a very sustainable location to meet Central Bedfordshire’s housing needs. Our Hayfield Park proposal is for a standalone community meeting its own needs but linked to nearby infrastructure. The Hayfield Consortium is also promoting further land within the Aspley Guise Triangle through the Central Bedfordshire Local Plan. It could link with potential future expansion in the area while retaining buffer zones of green space to protect the setting and identity of existing villages in the area. We have considered all the feedback submitted to our online consultation and at our public exhibitions, together with the findings from our own surveys and work, and have now submitted our outline planning application to Central Bedfordshire Council. We have reviewed all comments made in relation to the draft proposals that we consulted on in 2017. This was vital in developing the best possible scheme to complement the local area. Now that the application has been submitted, there is a further opportunity for anyone interested to provide comments directly to Central Bedfordshire Council. 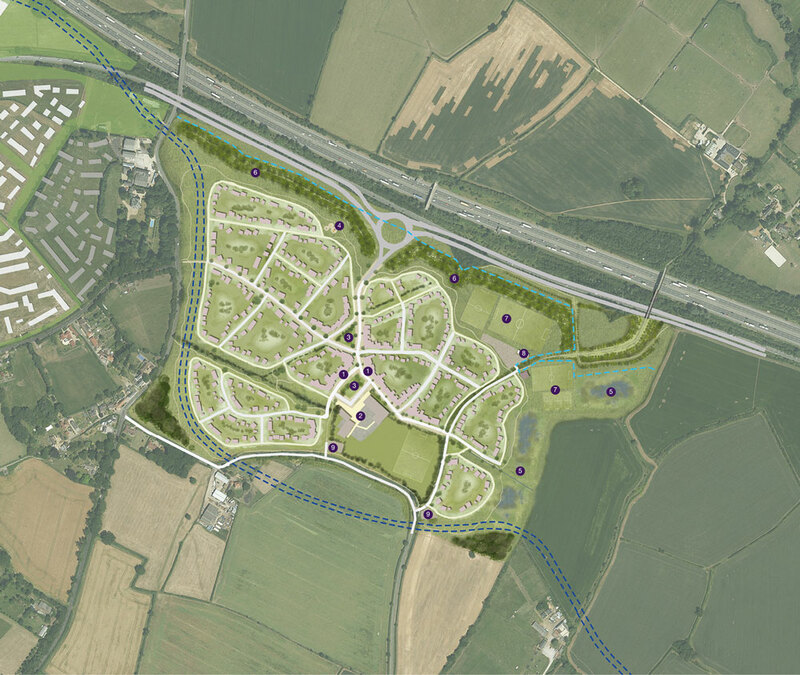 Hayfield Park is a proposed residential development jointly promoted by the Hayfield Consortium: Martin Grant Homes, Harcourt Developments, Taylor Wimpey and Miller Homes. The Hayfield Consortium is made up of companies with reputations for delivering high quality homes in prime locations. Whether it’s a first apartment or a family home, we carefully plan and build each property,combining thoughtful design with classic touches, to ensure the creation of a perfect home. The proposals we’ve developed for Hayfield Park draw on our collective breadth of experience as developers who understand the importance of sustainable communities, maintaining the vitality of the local economy and delivering much-needed homes. Our vision for Hayfield is to create a high quality, sustainable development which reflects the identity and character of the nearby villages in Central Bedfordshire.